Title: "Understanding changes in coastal ecosystems: the Land Margin Ecosystems Research Program"
Contents: "Land Margin Ecosystems Research"; "Annual Scientists' Meeting: Purpose and summary"; "List of meeting participants"; "Report of the workshop on vertical coupling"; "Report of the workshop on coupling between land and water"; "Report of the workshop on use of geographic information systems"; "Report of the workshop on biological-physical modeling"
Contents: "All scientists' meeting, cross-site comparisons are valuable parts of the LMER program" by John E. Hobbie; "Analysis of the Satilla River Watershed: Land use, water discharge and nutrient ouput" by Ting Dai, Alice G. Chambers, and Richard G. Wiegert; "River forcing of planktonic net metabolism: extremes in Chesapeake Bay, 1995-96" by Erik M. Smith, Lawrence W. Harding, Michael E. Mallonee, W. Michael Kemp; "Biochemical characterization of suspended particulate material in the Columbia River" by Frederik G. Prahl, Lawrence R.
Contents: "LMER begins transition to LTER program" by John E. Hobbie; "Dominance of particle-attached bacteria in the Columbia River Estuary" by Byron C. Crump, John A. Baross, and Charles A. Simenstad; "Influence of baroclinic pressure gradients on vertical sheer estuarine tidal currents" by Julie Amft and Jackson Blanton; "Seasonal and spatial patterns in stable isotopic composition of Chesapeake Bay food web components" by James D. Hagy and Walter R.
A Campbell CR21x data logger at one of the Ecosystems Center's LTER sites. 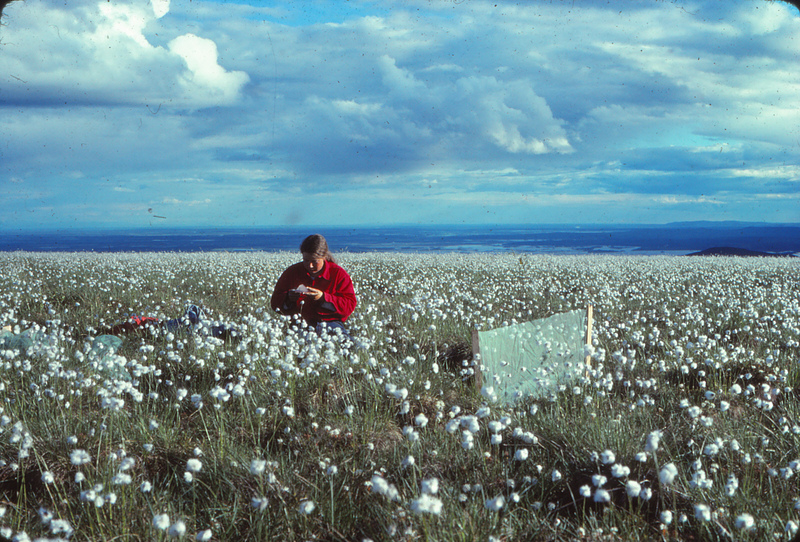 Lee Stuart (grad student from San Diego State/UC Davis) collecting Eriophorum (cottongrass) seed, late 1970s. 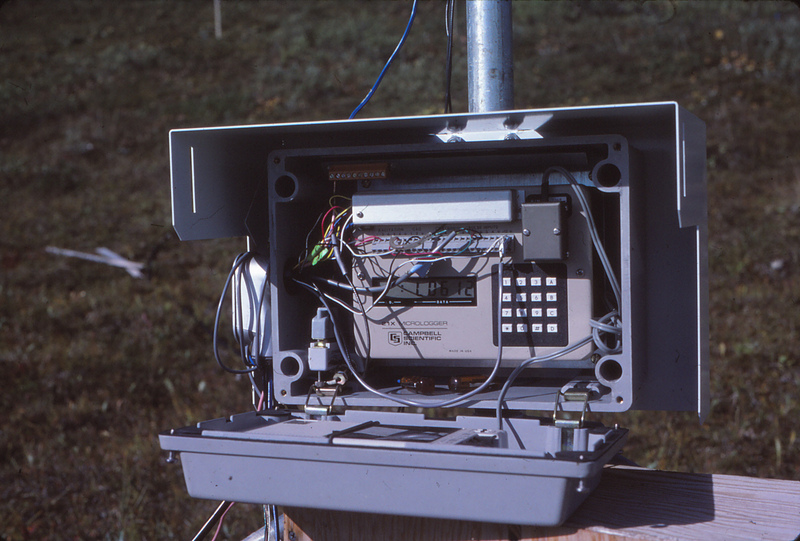 The location is probably along the Elliot Highway north of Fairbanks, Alaska. 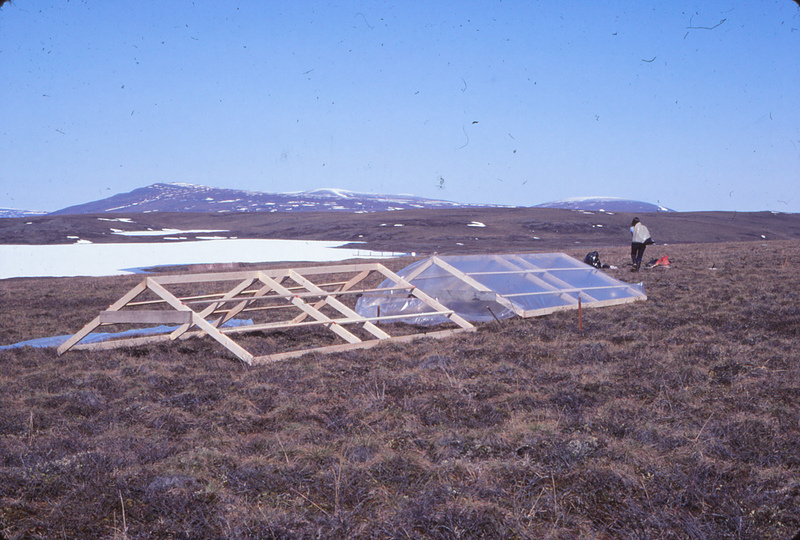 Researchers setting up an early version of "greenhouse" experiments at Toolik Lake, Alaska. 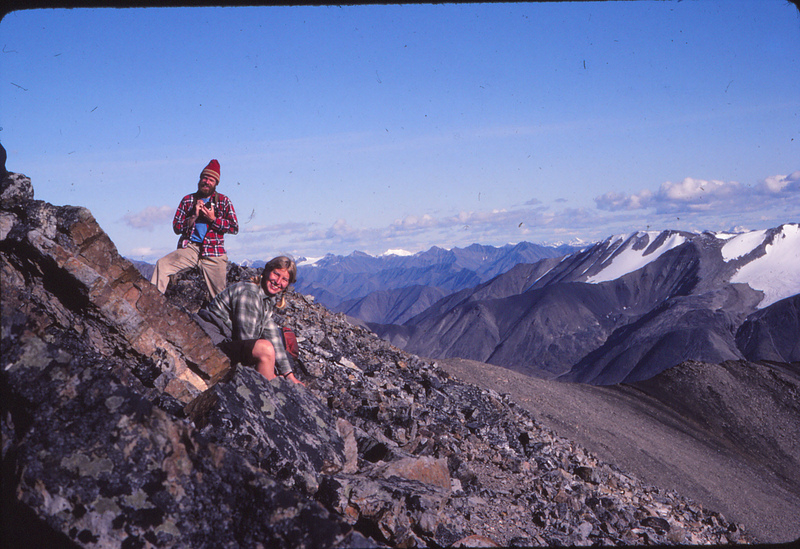 A Sunday hike in the Brooks Range, Alaska, about 1980-81. The woman is Barbara Lachenbruch (student of Terry Chapin's, Univ Alaska). 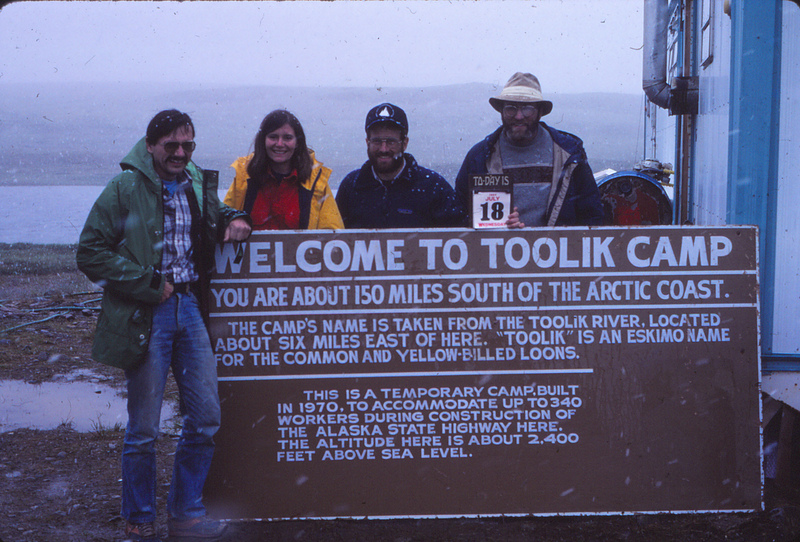 Behind her is Tom and Ellen (last names unknown), working at Toolik Lake at the time. Walt Oechel's early system for controlling CO2/temperature/water/light in field cuvettes, on the hillside below our fertilizer plots. 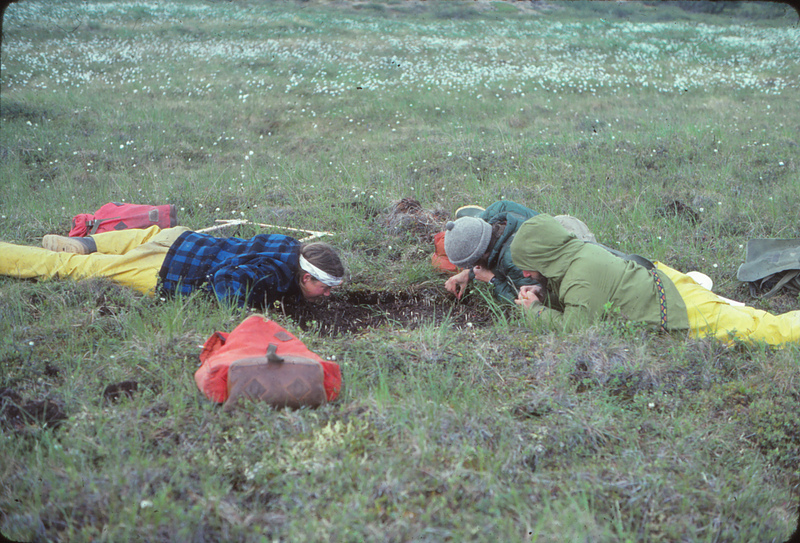 Counting seedlings in small disturbed plots, around 1977-78 in Alaska. Lee Stuart (student, San Diego State/UC Davis) on the left, Pete Tryon (RA, Univ Alaska) and Terry Chapin (Univ Alaska) on the right. 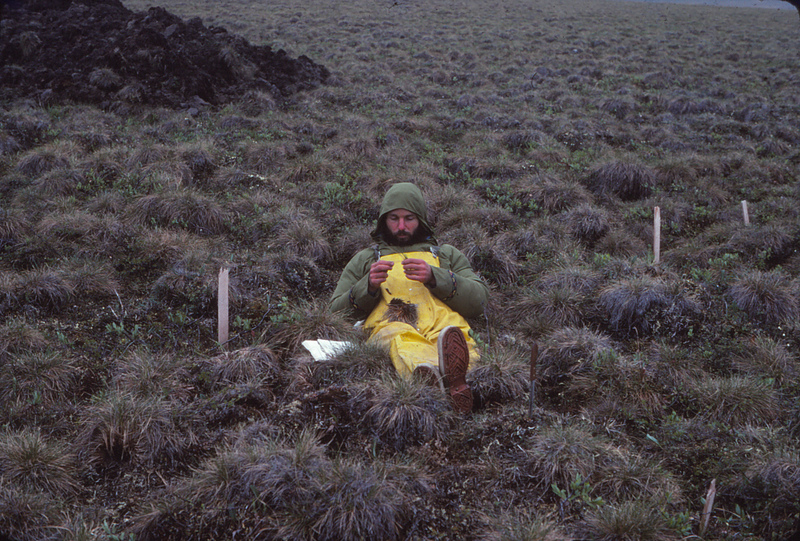 Terry Chapin sorting cottongrass tillers in the field at Sagwon, Alaska, late 1970s. Left to right: Jim Laundre, Anne Giblin, Gus Shaver, and Knute Nadelhoffer, in a snowstorm at Toolik Lake, July 18, 1984. Jim was then an RA, Anne, Gus, and Knute were Assistant Scientists, all at the Ecosystems Center. 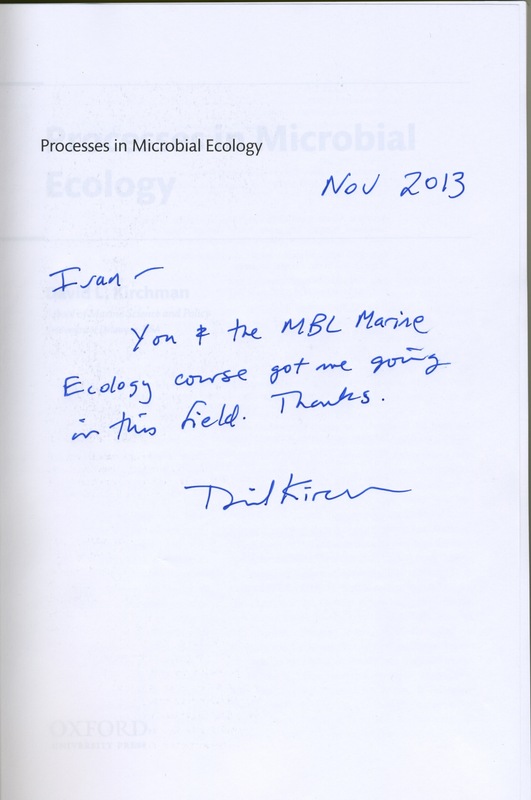 Note reads: "Ivan- You & the MBL Marine Ecology course got me going in this field. Thanks. 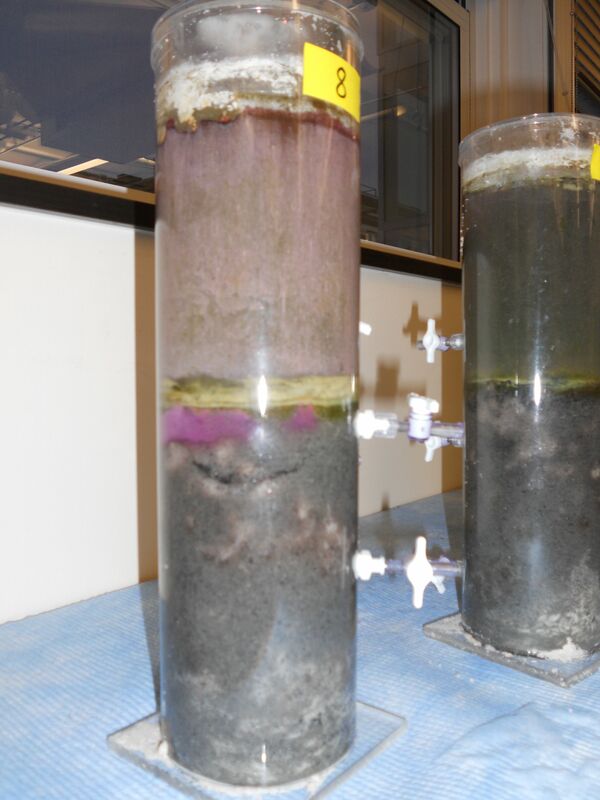 David Kirchman"
This is a Winogradsky column that Joseph Vallino uses in a SES course on Methods in Microbial Ecology. Almost every bacterial metabolic process that occurs on Earth also occurs in these columns that are simply constructed by placing freshwater or marine sediments augmented with a carbon source (such as saw dust) and fertilizer (N and P) in a column and topping it off with either fresh or sea water. Julie Huber is a co-instructor in the course. 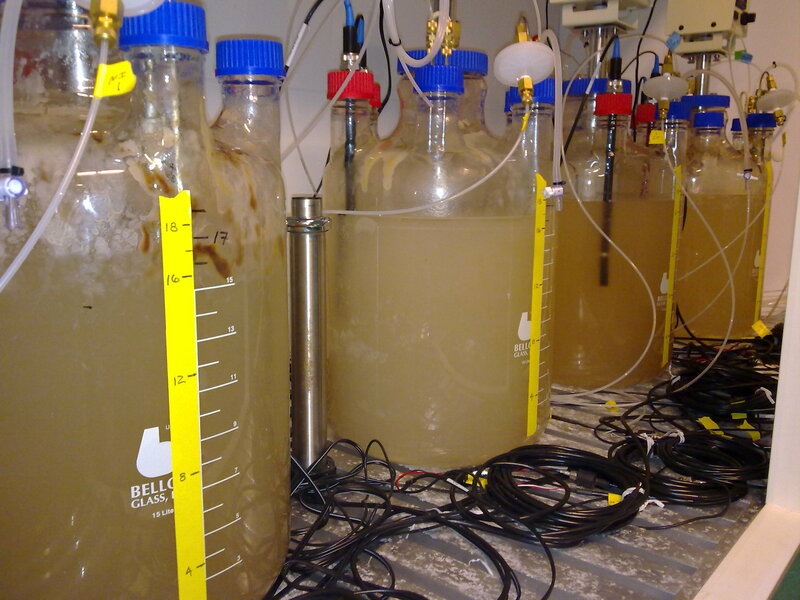 These are methanotrophic microcosms that are being used to develop and test new approaches to modeling microbial biogeochemistry using thermodynamic approaches (namely, the principle of maximum entropy production). 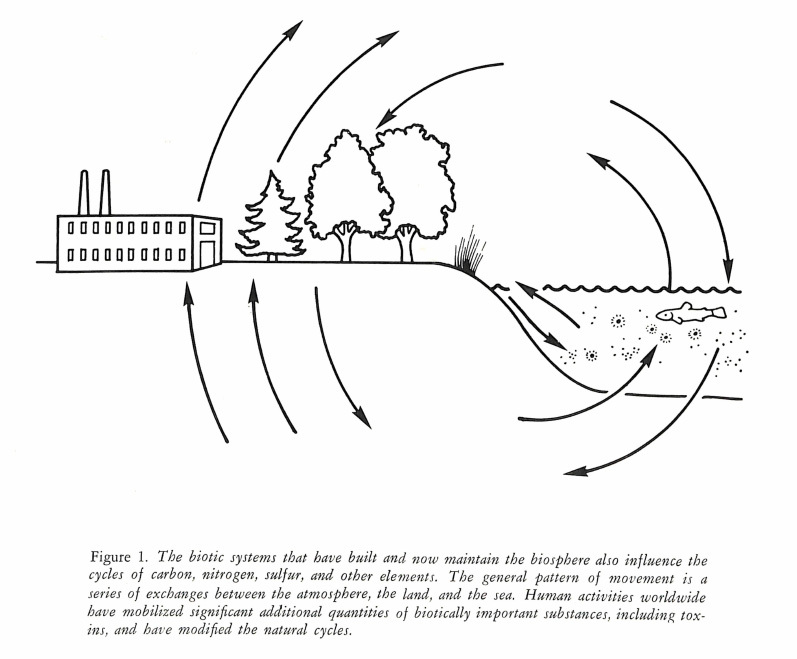 Caption reads: "Figure 4: A diagrammatic model of carbon and nitrogen flow in an estuarine ecosysem that emphasizes inputs of organic carbon and nitrogen and inorganic nutrients from upland watersheds and processing by the estuarine food web. Compartments of the mathematical model are shown in the box. 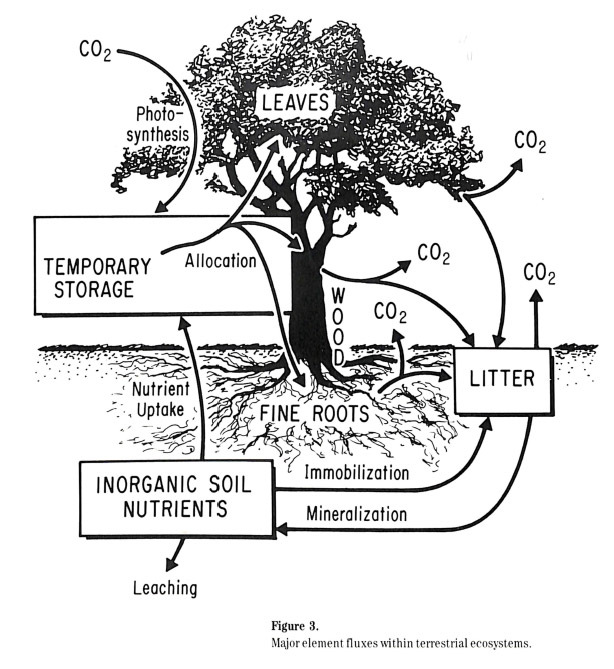 The inorganic nutrients compartment comprises both ammonium and nitrate. The organic matter compartment comprises three distinct components: labile nitrogenous material, labile carbohydrate material and refractory nitrogenous materal." 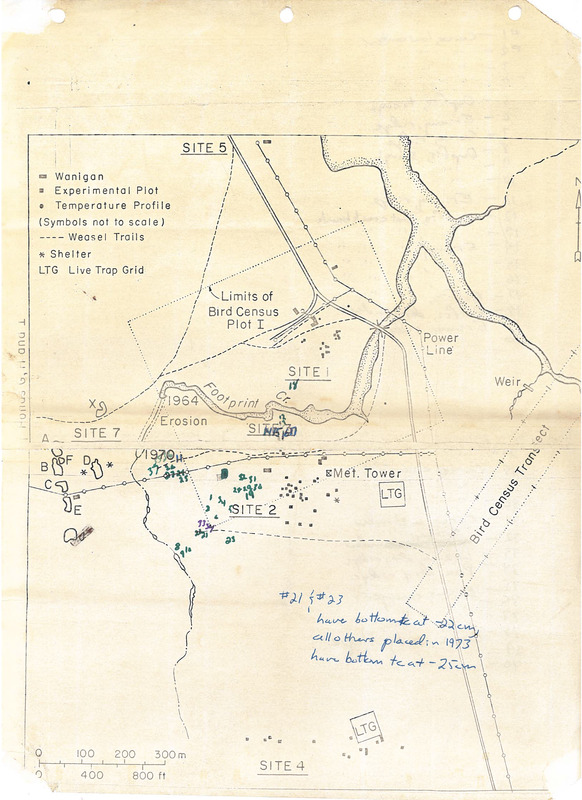 Caption reads: "Figure 3. 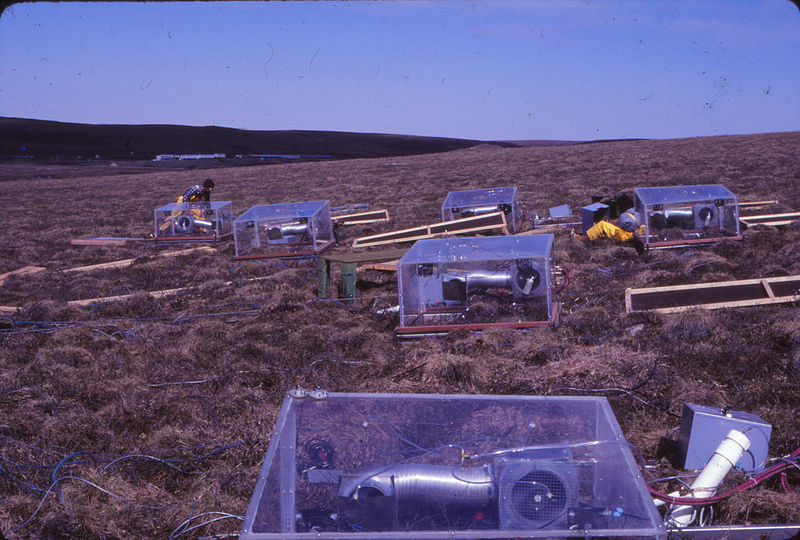 Major element fluxes within terrestrial ecosystems." 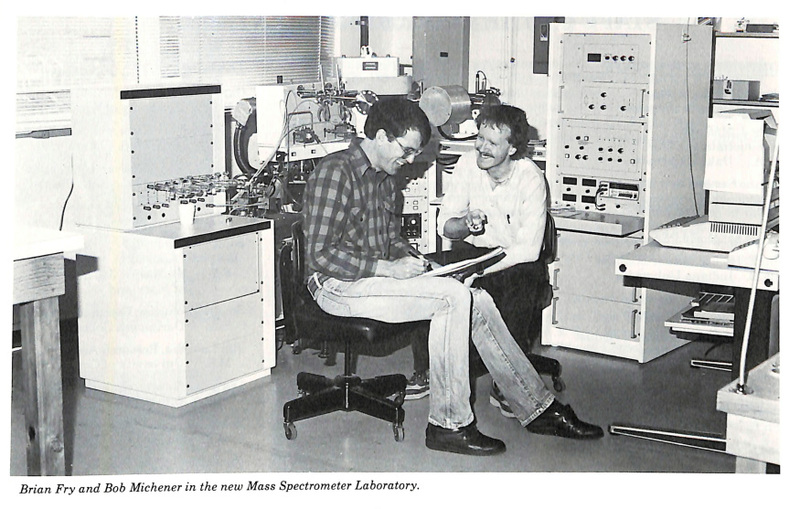 Caption reads: "Brian Fry and Bob Michener in the new Mass Spectrometer Laboratory"